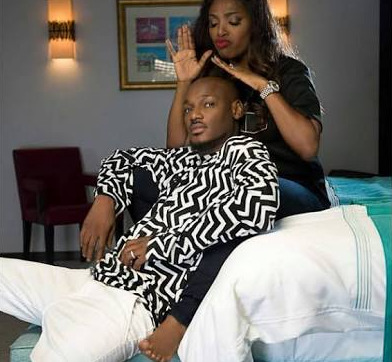 Annie Idibia has asked God to allow her spend her entire life with her husband, 2baba and then “die beside” him. Annie took to Instagram on Tuesday saying she can’t survive a life without the ‘African Queen’ crooner. She wrote: “I stared at this image for at least 15mins or even more and realized I was tearing up. The picture made me feel all “types of ways” And the love in my heart towards Innocent just tripled instantly. “I know we will grow old n die someday, but God please I want to spend all my days with him, grow old with him and die beside him, next to him. I can’t live if I have to do that without him. I won’t survive it.